An average placenta will make between 80-120 pills, although some placentas make more. Is there any time I should NOT take my placenta capsules? You should discontinue use of your placenta capsules if you become ill with a fever (flu or cold) or get an infection such as mastitis. You may resume use of the capsules once symptoms have subsided. How do I care for my placenta once it has been born? Place the placenta in gallon-sized double zip-lock baggies (one inside the other) or a container with a secure lid. It should be kept cold on ice in a cooler, but should be refrigerated as soon as possible. 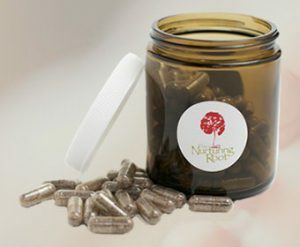 How soon should I have my placenta encapsulated? The placenta encapsulation process should begin encapsulated within 72 hours. If, for some reason, a specialist cannot get to you within that time, the placenta will need to be frozen. It will need to be thawed for 24 hours prior to the encapsulation. Why is it done in my home? Can you just take it to your workspace and encapsulate? It is our goal to provide our clients with complete transparency, so we offer the option of in-home encapsulation if the client chooses. Because the placenta has never left your sight, you can rest assured the placenta you are consuming is your own, and furthermore, you know it's being handled safely and in a clean environment. Your encapsulator will sanitize their work area prior to beginning the encapsulation process and our clients love having a clean kitchen when the process is complete. The Nurturing Root's placenta encapsulators have undergone food safety certification training, in addition to the OSHA blood-borne pathogen certification. While your specialist is in your home, you will also see that she practices within OSHA and EPA Federal guidelines and use procedures that meet the EPA guidelines for laboratories that deal with blood-borne pathogens and medical waste. If you'd prefer to have the process performed in The Nurturing Root's private and dedicated workspace, we are happy to provide that option as well. We pick up the placenta from your birth location and deliver your capsules within 72 hours of pick up. 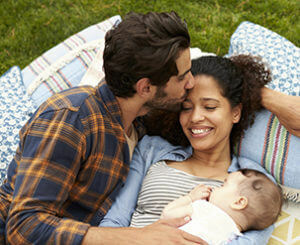 Is it difficult to get my placenta released from the hospital? Most hospitals release the placenta without issue. Carmen is familiar with placenta release protocols at locals hospitals and is happy to answer any questions regarding your birth location.